The 2016 Experts and Enthusiasts summit is currently underway at mountain resort in Park City, Utah, for its fourth year—a gathering of mostly Republican business and political leaders. The summit is lead by former presidential candidate Mitt Romney and has a guest-list that includes “Never-Trump” members and Trump allies including Speaker of the House Paul Ryan, Senator Ben Sasse, Senator Bob Corker, and Republican National Committee Chairman Reince Priebus. Four years ago, Romney met with a similar group, but under very different circumstances. 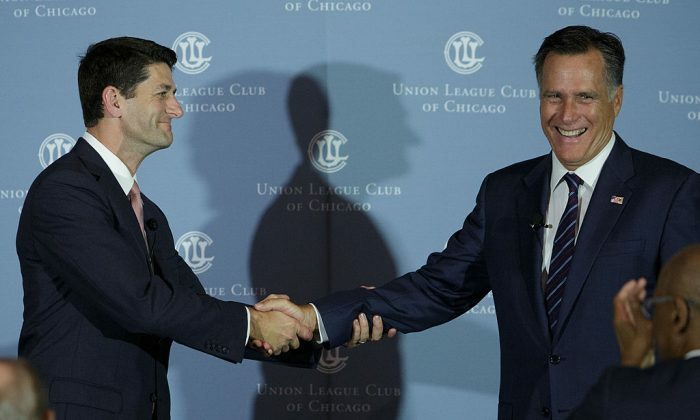 At that time, Romney was running confidently for president as the standard bearer of the conservative movement with Paul Ryan as his running mate. That confidence has since been shaken by the presidential race which has been defined by Donald J. Trump—who has flipped the script and divided the Republican party. “I am not expecting we will sit by the campfire singing ‘We Shall Overcome’ and group-hugging,” Navarro told the Washington Post. The statements come after Donald Trump’s political faux pas about Judge Curiel and Trump University—comments largely panned as ‘racist’ by critics and supporters—fueling conversations as to whether or not Trump’s nomination can be blocked at the Republican National Convention. In an article by the New York Magazine, writer Ed Kilgore outlined a “nuclear” option to keep Trump from the presidency. It involves an unlikely series of events, where the National Republican Committee changes the rules for delegate binding, and the party overrules the primary voters. However unlikely that may be, a recent poll indicated that 4-in-10 GOP insiders would like to see Trump’s bid derailed by the convention. Romney himself is at the center of the summit and is one of the leaders being called on by insiders to challenge Trump in a third-party bid—though, so far he has declined, instead imploring others to run. Hillary Clinton and Donald Trump officially started the general election with a series of back and forth messages over Twitter.